Heart failure (HF), often used to describe chronic heart failure (CHF), occurs when the heart is unable to pump sufficiently to maintain blood flow to meet the needs of the body. The terms congestive heart failure (CHF) or congestive cardiac failure (CCF) are often used interchangeably with chronic heart failure. Signs and symptoms commonly include shortness of breath, excessive tiredness, and leg swelling. The shortness of breath is usually worse with exercise, when lying down, and at night while sleeping. There is often a limitation on the amount of exercise people can perform, even when well treated. Common causes of heart failure are coronary artery disease including a previous myocardial infarction (heart attack), high blood pressure, atrial fibrillation, valvular heart disease, and cardiomyopathy. These cause chronic heart failure by changing either the structure or the functioning of the heart. 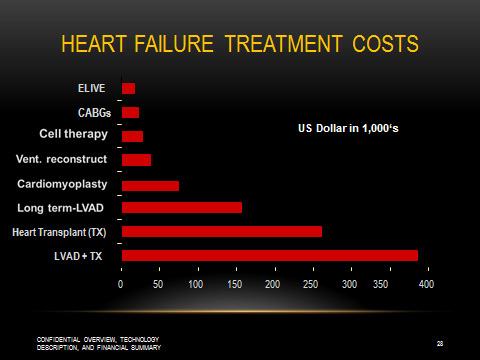 Heart failure is a common, costly, and potentially fatal condition. In developed countries, around 2% of adults have heart failure and in those over the age of 65, this increases to 6–10%. In the year after diagnosis the risk of death is about 35% after which it decreases to below 10% each year. This is similar to the risks with a number of types of cancer. In the United Kingdom the disease is the reason for 5% of emergency hospital admissions. Heart failure has been known since ancient times with the Ebers papyrus commenting on it around 1550 BCE. There are two main types of heart failure: heart failure due to left ventricular dysfunction and heart failure with normal ejection fraction depending on the ability of the left ventricle to contract, or the heart’s ability to relax. The severity of disease is usually graded by how much the ability to exercise is decreased. Heart failure is not the same as myocardial infarction (in which part of the heart muscle dies) or cardiac arrest (in which blood flow stops altogether). Other diseases that may have symptoms similar to heart failure include the following: obesity, kidney problems, liver problems, anemia and thyroid disease, among others. The condition is diagnosed based on the history of the symptoms and a physical examination with confirmation by echocardiography. Blood tests, electrocardiography, and chest radiography may be useful to determine the underlying cause. Treatment depends on the severity and cause of the disease. In people with chronic disease already in a stable situation, treatment commonly consists of lifestyle measures such as stopping smoking, physical exercise and dietary changes, as well as medication. In those with heart failure due to left ventricular dysfunction, angiotensin converting enzyme inhibitors and beta blockers are recommended. For those with severe disease, aldosterone antagonists, an angiotensin receptor blocker or hydralazine with a nitrate may be used. If there is a normal ejection fraction, associated health problems should be treated. Diuretics are useful for preventing fluid retention and is thus recommended. Sometimes, depending on the cause, an implanted device such as a pacemaker or implantable cardiac defibrillator may be useful. A ventricular assist device or occasionally a heart transplant may be recommended in those with severe disease despite all other measures. All these options have in common that they are only symptomatic treatments, while typically being unable to counter the underlying cause for progessing heart failure. ELIVE™ therapy on the other hand, promises to be a curative approach by initiating and amplyfying endogenous repair mechanisms inherent to the organ. ELIVE Medical is developing a low power ELIVE™ CO2 Laser System that will now enable interventional cardiologists to perform Endogenous Laser Induced Ventricular Enhancement ( ELIVE™) therapy on a significant percentage of patients diagnosed with heart failure. ELIVE™ therapy will be used to treat the hibernating myocardium and surrounding affected tissue. This focused application of CO2 laser energy to these myocardial segments (determined by pre-procedure MRI or echo scan) of the left ventricle (the hibernating myocardium) creates reaction zones that act to stimulate the angiogenic process and initiate a reversal of the remodeling of the connecting tissue matrix within the myocardium. 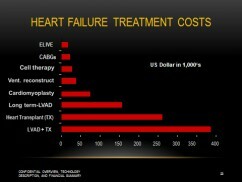 Based on the seminal work of Prof. Klein and others, it is now known that ELIVE™ therapy initiates a re-remodeling of the connecting tissue matrix that reverses the dilatation process associated with heart failure diagnosis and results in significantly upgraded cardiac output and improved quality of life. In patients suffering from ischemic cardiomyopathy (ICM), ELIVE™ therapy triggers endogenous repair mechanisms of the organ. The benefit rendered by ELIVE™ therapy may be further amplified by an optional adjunct cell therapy approach. In such a combination therapy, ELIVE™ therapy offers – next to triggering release of mediators initiating re-remodeling and recruiting cardiac resident stem cells – a homing effect for any cells optionally transplanted.